Actually, you can buy the level 30 and 60 rams at Driz Tumblequick (for Horde), the goblin next to the Ram Racing questgiver. These items no longer require Brewfest Prize Tokens, but ordinary gold. Seems like Blizz decided to cut the whole "free mount"-concept and rather go with the same system as they have for their Winter Veil ones. With the temporary reskin of your mount by using an item. The Alliance can obtain the by using this item while mounted. Not sure about Horde mechanics for this. Permanent ram mounts have also been removed for both factions. It's confirmed, the item is temporary (7 days) and as alliance, turns your mount into a brewfest kodo until dismounted, the permanent brewfest ram as of 2008 festival is no longer handed out for tickets (since tokens are issued this year instead). The permanent Brewfest mounts (both Kodo and Ram) drop from the festival boss in BRD. And yes, alliance can get the Kodo too. The actual cost for this one is 20 tokens, not 5. And you get 1 Hops, not 20. I dont know if its actually the same, but i bought it outside Orgrimmar. And i bought 1 hops for 20 tokens. I could use it one time, and i got the kodo. wrong, 20 tokens is for the preserved hops. The item will transform your mount into a Kodo, even if you're Alliance, and even if you dismount. Costs 20 Brewfest Prize Token to Alliance players, 5 Brewfest Prize Token to Horde players. This will give you a 1 hour buff which makes your ground mount a Brewfest Kodo everytime you mount. 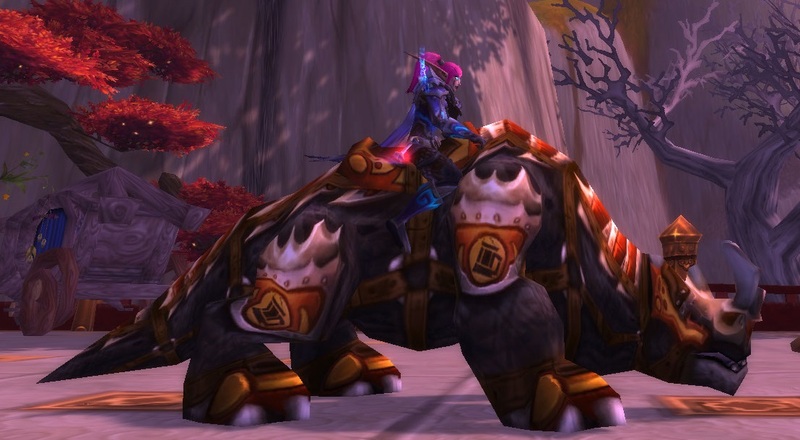 The Brewfest Kodo mount buff will last even if the Brewfest Hops buff has expired until you dismount. Just received this during one of my Brewfest runs in 2017. This gives you a different version of the Brewfest Kodo mount now in 2017. Screenshot submitted and linked here ( https://i.imgur.com/FH1L0LF.jpg ). "Agora você sabe como é a vida do outro lado." Este item será convertido paraLúpulo Enânico Fresco de CervaFest se você se transferir para Horda.